As school leaders prepare for the 2014-2015 school year, one challenge remains in the forefront of Superintendents’ and Curriculum Directors’ minds: With thousands of instructional materials to choose from, how can we choose the right standards-aligned resources for our students’ needs? Recently featured on NPR , Learning List is a low-cost, subscription-based instructional materials review service for schools and districts. 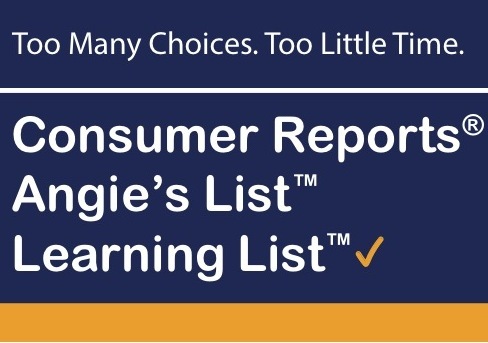 Think of Learning List as a combination of Consumer Reports® and Angie’s List™ for K-12 instructional materials and online courses. If you need a cost-effective way to select standards-aligned instructional materials, Learning List can help. 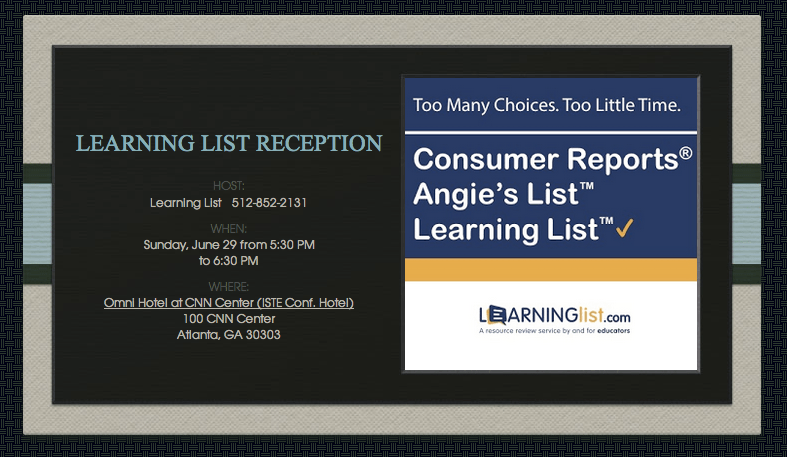 We invite you to JOIN US at ISTE 2014 for a brief reception to learn more about how Learning List can simplify and expedite your district’s selection processat 5:30PM on Sunday, June 29 (see invitation below). The reception will include refreshments, snacks and Door Prizes. You can RSVP here. If you can’t make it, request a webinar to see the reviews and tools on LearningList.com.